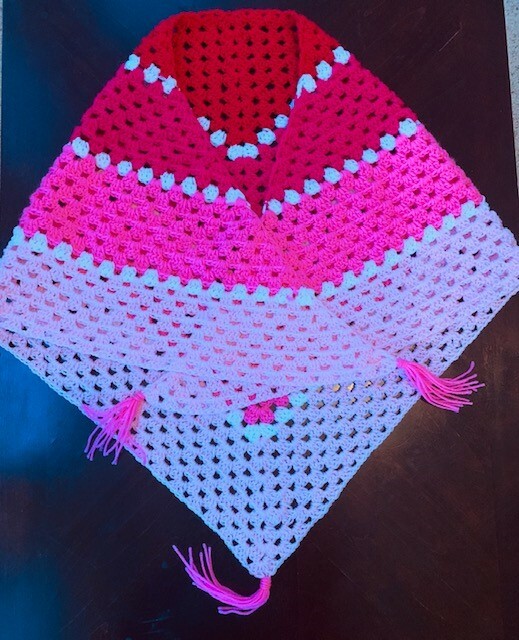 I recently learned how to crochet an I Chord. 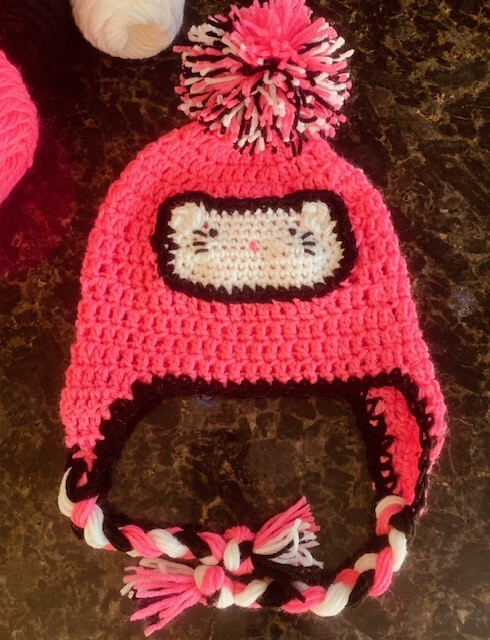 I had no idea that you could crochet them. 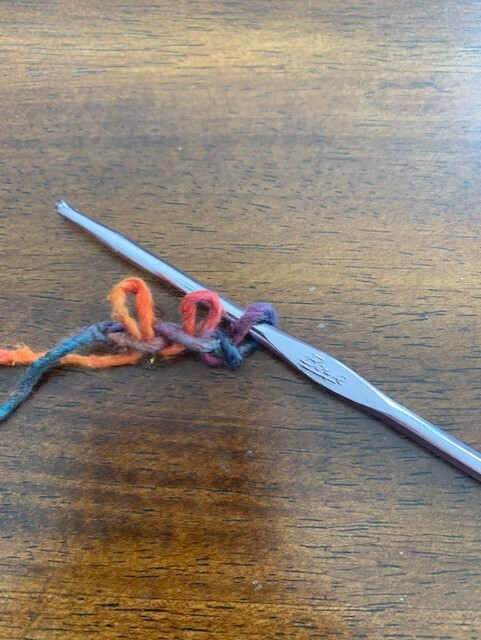 I thought they you could only knit an I Chord. 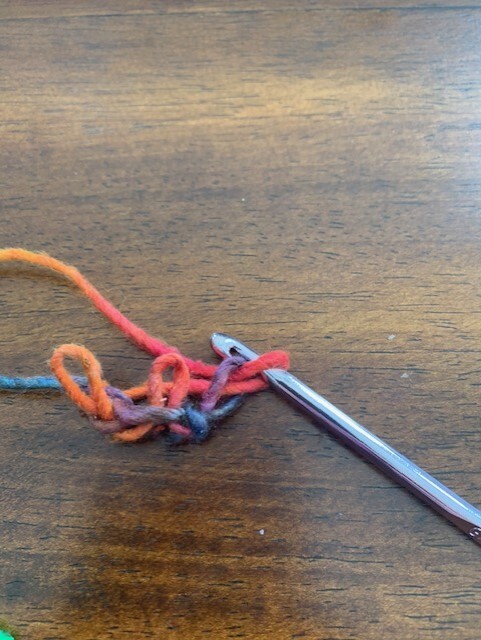 An I Chord is handy to know how to crochet. 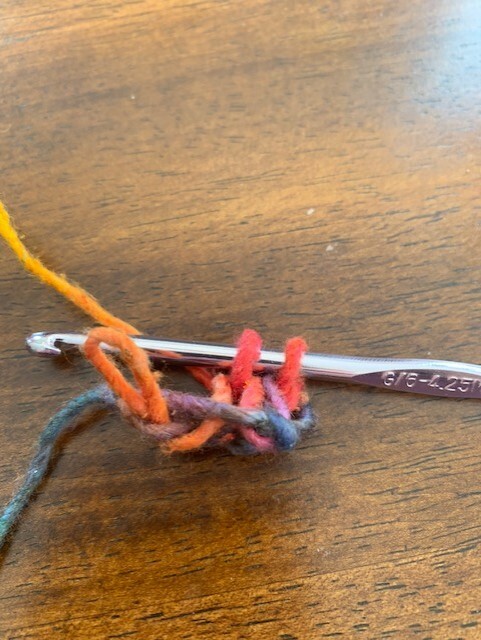 With one, you can embellish items, make jewelry or roll it up and sew it create something like a coaster, placement, etc..
Anyways, I decided a good project for this beautiful yarn would be an I Chord Necklace. I had never tried one before and it seemed pretty easy! Which it is! 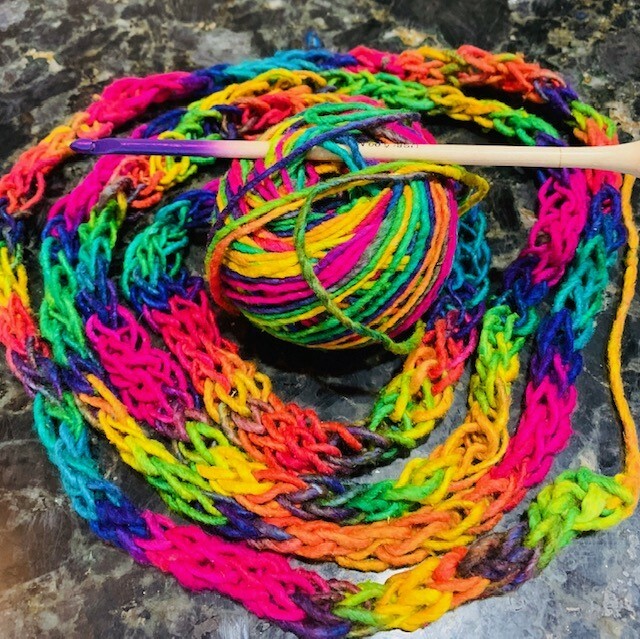 It was a lot of fun and I love how the necklace shows off all the colors of this yarn. 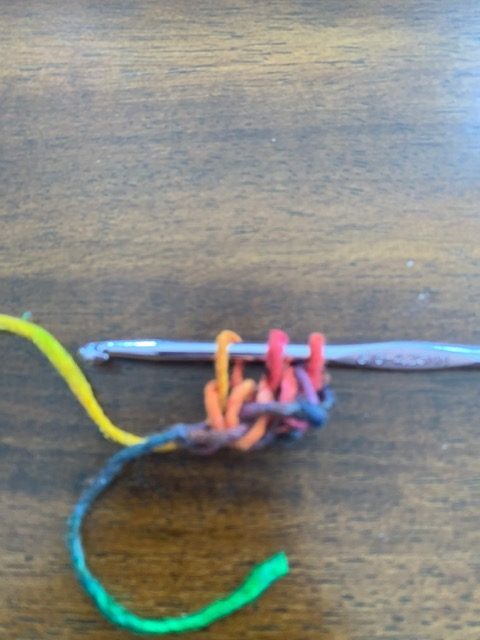 So, here is how to make an I Chord Necklace. Row 1: Draw up a loop on each chain. You will have 3 loops on your hook. 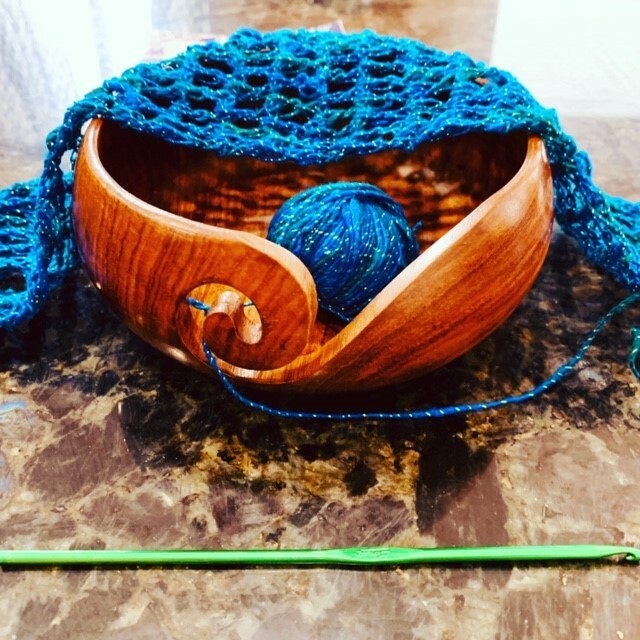 Row 2: Take 2 loops off your hook and hold them with your left hand. Ch with your first loop. Chain with the second loop. Chain with the third loop. 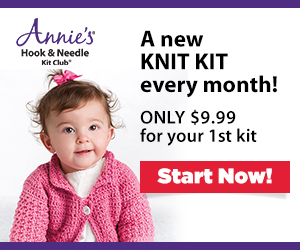 You will end with 3 new stitches and 3 loops on the hook. Row 4- The length of your necklace. 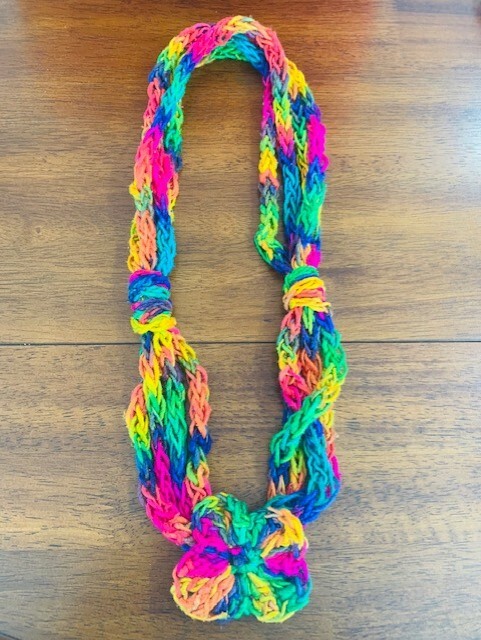 I wanted to make a wrap around necklace. 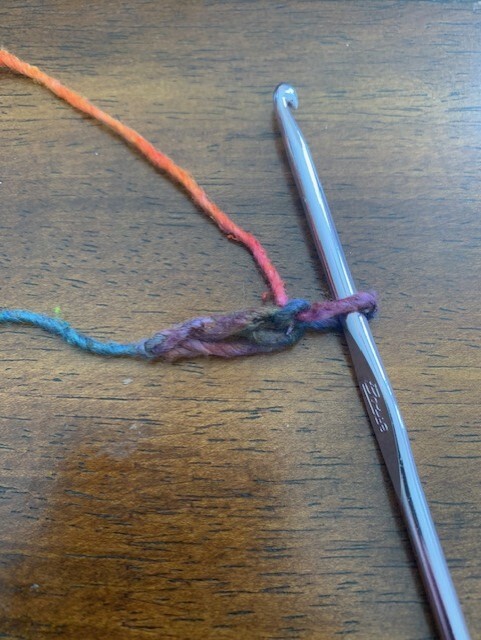 I used most of the skein for my necklace. To Start: Magic circle and sc 8 in the middle. Ch 2. Row 1: Sc, dc, trc, trc in first stitch. Trc, trc, dc, sc in next stitch. 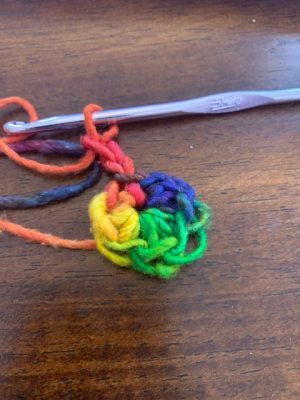 Work this pattern around to make a flower with 4 petals. To finish, I chained about 30 chains and then wrapped it around the necklace to keep it together. This is optional. 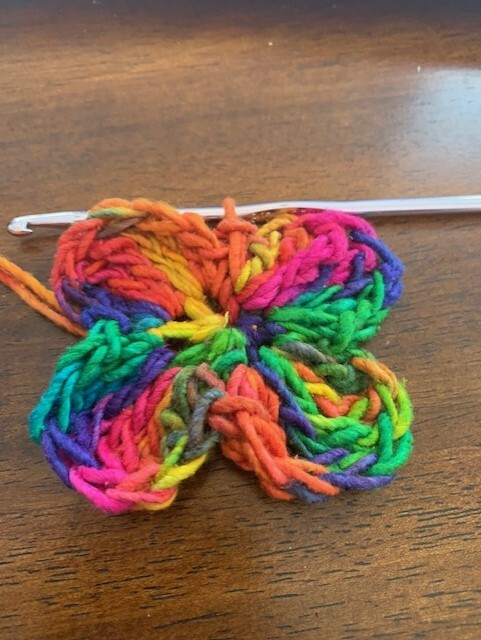 Then I sewed the flower in the middle. You could also make several and put them on. So, what do you think? 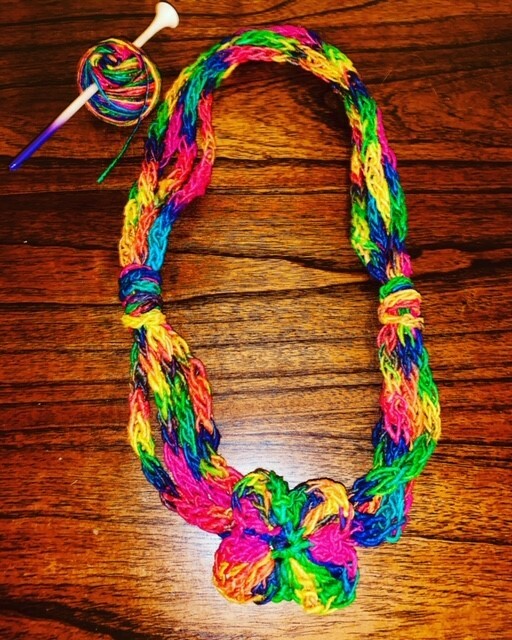 Would you like to create this necklace? I would love to see if you do! 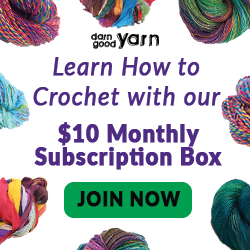 Also, if you would like to try Darn Good Yarns subscription box, here is a link! 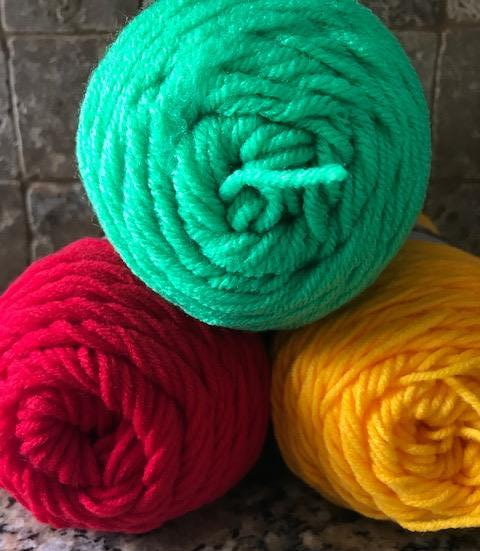 It is a lot of fun to get a yarn surprise in the mail! 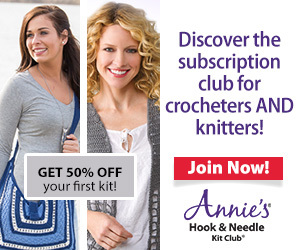 A subscription is only $10 a month!